When he was three years old, he nearly died of sickness; his penniless parents had to sell vital possessions just to pay for a doctor. After numerous unsuccessful medical treatments, he was brought to the nearby Shaolin temple, where he made a miraculous recovery. He credits Buddhism with saving his life, and believes happiness and balance are more powerful than medicine. 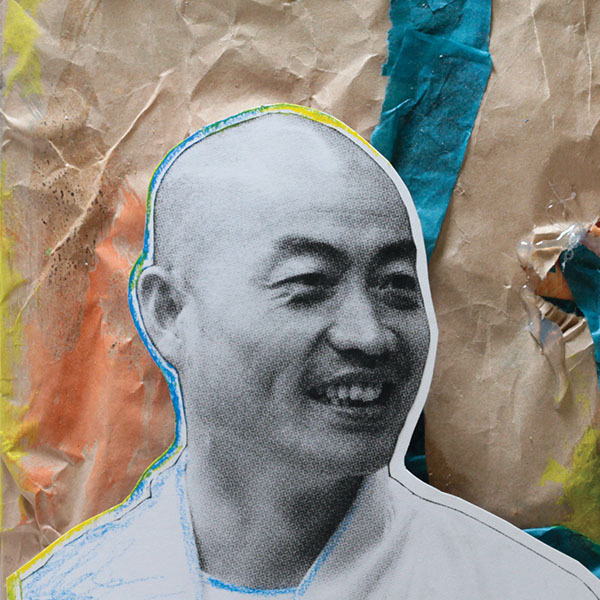 At his self-run Shaolin temple, he teaches students to slow down, take a breath, and find themselves. His tactics for stress reduction have struck a chord with our fast-paced population-especially near his temple, located smack-dab in the middle of New York City. As a kung-fu master, he can deflect knives, sleep upside down whilst hanging from a tree branch, and lick red-hot iron shovels. But he insists that the most important quality of being a warrior monk isn't the physical stuff-it's about knowing how to cherish life. Says that we must know how to first "doctor ourselves" and practice self-care, and then we can find outside happiness. I teach Shaolin martial arts and Chan Buddhist philosophies to help my students.